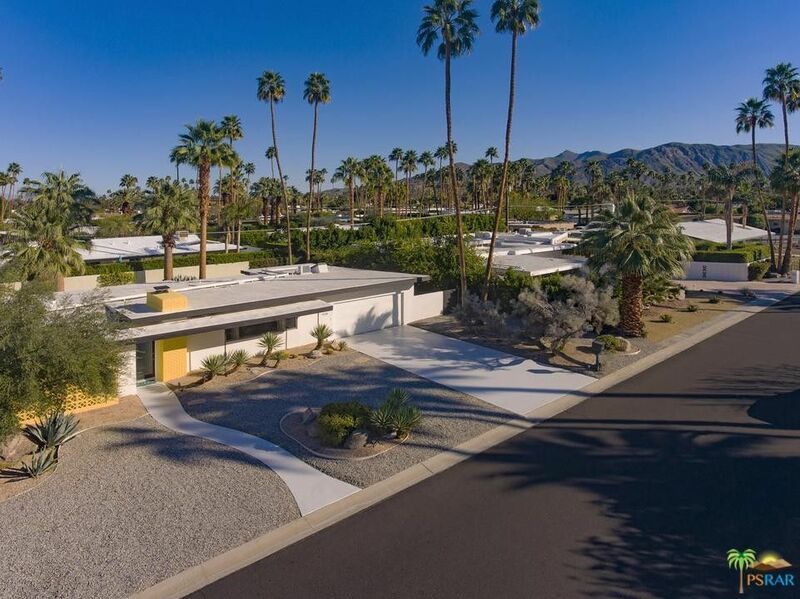 Located in Deepwell, one of the best neighborhoods in South Palm Springs, this 1956 Mid-Century modern home has the ultimate indoor-outdoor living. 3 En-Suite BDs (2BDs in one wing, and 3rd BD on the other), 1,971 SqFt, open great room w/beautiful midcentury style fireplace, stunning concrete floors, remodelled kitchen set the stage for another perfect Desert getaway. The main living room w/large windows allow for just the right amount of light to flood the interior space while also providing picture perfect views of the San Jacinto Mtns. Architecturally, the home enjoys simple lines consistent w/the period of Desert modern architecture for which Palm Springs is so well known. On an oversized lot, 11,326 SqFt, generous backyard w/palm & citrus trees frame the pool & spa creating a special environment for entertaining visitors or quietly lounging by oneself just taking in the view. On land you own, walking distance to downtown, shopping, restaurants, golf, tennis, biking, hiking trails.